The crushing operations by the sugar mills across the country have come to an end, except for 20 sugar mills in Tamil Nadu. As compared to about 247 lakh tons of sugar produced between 1st October 2012 and 15th May, 2013, in the last 2012-13 sugar season, the Indian sugar industry has produced about 239 lakh tons of sugar in the current 2013-14 sugar season between 1st October 2013 and 15th May, 2014. The sugar mills in Maharashtra have produced 77 lakh tons of sugar, followed by the sugar mills in Uttar Pradesh who have produced about 64.5 lakh tons and then mills in Karnataka who have produced just over 41 lakh tons. As compared to the previous sugar season upto 15th May, the sugar mills in Maharashtra have produced almost similar quantity of sugar, whereas the mills in Uttar Pradesh produced about 10 lakh tons less and mills in Karnataka have produced over 7 lakh tons more than last year. However, in the case of the fourth largest sugar producing State viz. Tamil Nadu, the production is significantly lower than last year when they had produced almost 16 lakh tons, but have produced 11.5 lakh tons in this sugar season. 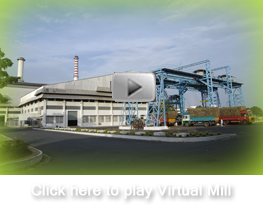 There is a special season for the sugar mills in Tamil Nadu and some of the sugar mills in South Karnataka, and they crush sugarcane in the months of August – September 2014 also. Therefore, there would be some sugarcane which would be crushed by these sugar mills for a few weeks, before this current sugar season ends. As per the cane availability for the current sugar season and the current sugar production of about 239 lakh tons produced upto 15th May, 2014, it is estimated that the sugar production for the full sugar season of 2013-14 should be around 242 lakh tons. The sugar despatches made by the sugar mills during the full season 2012-13, was 228 lakh tons for domestic consumption. As compared to this and considering the trend of sugar despatches till now, it is estimated that the sugar despatches by the sugar mills for domestic requirement, will be higher than last year and may be around 240 lakh tons. The opening balance as on 1st October, 2013, for 2013-14 season was around 93 lakh tons. It is expected that around 19-20 lakh tons of sugar will get exported out of the country in the whole season i.e. October 2013 – September 2014 and, therefore, considering the consumption and production numbers, the closing balance as on 30th September, 2014 is expected to be around 74-75 lakh tons. The country will be opening the new season with almost 18-20 lakh tons less than last year, but there will be a surplus of about 15-20 lakh tons, which can be exported as and when opportunity arises. However, the pace of sugar exports has slowed down because of the unreasonable and unexpected reduction of the export incentive from Rs. 3300 per to Rs. 2277 per ton by the Food Ministry, which the sugar industry and exporters feel is not as per the gazette notification of 28th February, 2014.